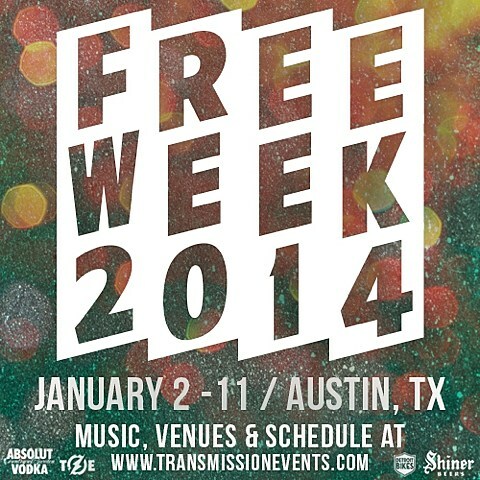 It’s now 2014, which means Free Week is about to be underway in Austin. 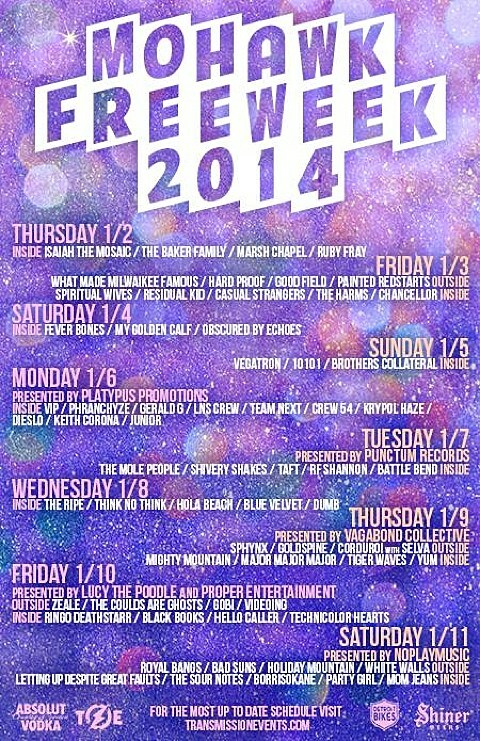 Like in years past, a bunch of mostly local bands will be playing free shows in local venues from January 2-January 11. 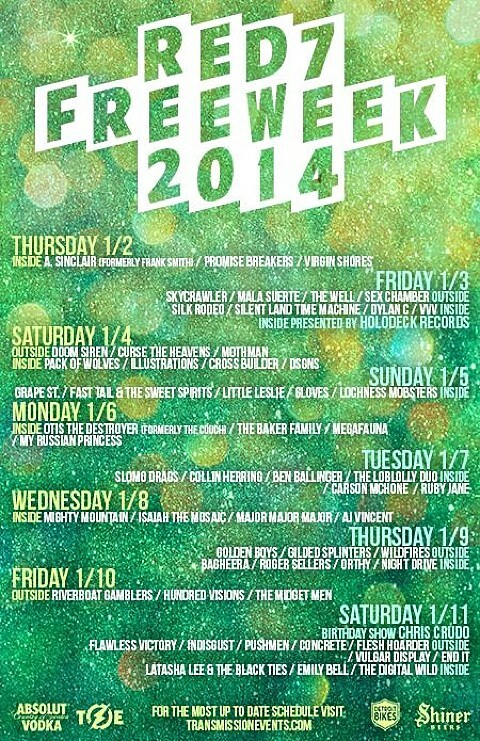 This year the shows will happen at Mohawk, Red 7, Holy Mountain, Beerland, and more. 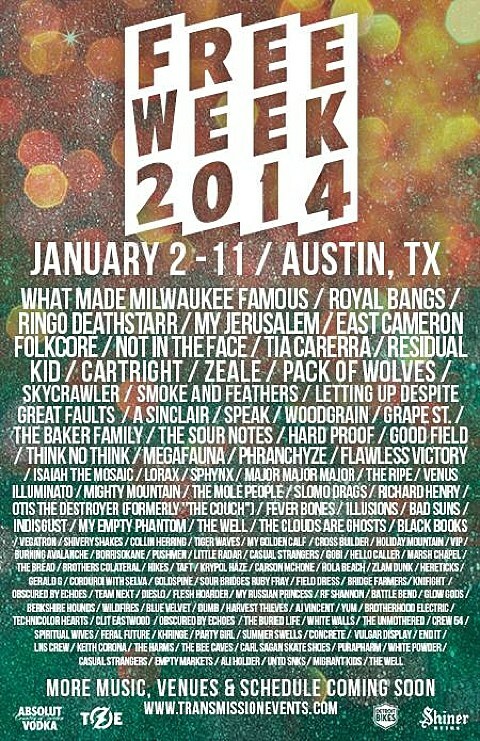 Shows this year include What Made Milwaukee Famous at Mohawk (1/3), Hundred Visions at Hotel Vegas (1/3), OBN IIIs at Beerland (1/3), American Sharks at Hotel Vegas (1/4), Dikes of Holland at Beerland (1/8), Ringo Deathstarr and Black Books at Mohawk (1/10), and tons of other shows, all for free. Browse our Austin show calendar for more.